(TORONTO) – Canadians turn to Lexus for a contemporary luxury motoring experience – one in which advanced technology, intuitive design and modern amenities take luxury, comfort and convenience to new levels. And the pinnacle of this pursuit is found in the LS series prestige luxury sedans, available in three models for the 2010 year, with revised styling and even more prestige convenience features and state of the art technology fitted as standard. Integrated signal lamps on the exterior mirrors. The LS series is powered by a precision-built 4.6 Litre V8 with lightweight aluminum alloy block that delivers up to 380 horsepower and up to 367 lb-ft of torque in the LS 460 RWD, and up to 357 hp/344 lb-ft in the LS 460 AWD and LS 460 L AWD. Superior engine management technologies, including Electrically-Driven Variable Valve Timing with intelligence on the intake cam, VVT-iE on the exhaust cam, Electronic Throttle Control System with intelligence and more work together to achieve a Tier 2 Bin 5 emissions rating, while careful polishing of key components to a mirror finish and individual engine tuning by a Takumi, or master craftsman, has virtually eliminated unwanted noise and vibration. This V8 is coupled to an eight-speed super electronically controlled automatic transmission with overdrive and sequential multi-mode shifter that delivers smooth, exceptionally quick shifts and a city/highway combined fuel efficiency of 10.8 L / 100 km on the LS 460 RWD and 11.3 L / 100 km on AWD models. All models are fitted with the state of the art Lexus Vehicle Dynamics Integrated Management system, customized to each vehicle, plus Vehicle Stability Control and Traction Control. These work in concert with sophisticated independent multi-link suspension systems featuring anti-vibration subframes, stabilizer bars and front anti-dive and anti-squat geometry to deliver a comfortable yet controlled ride over a wide variety of pavement surfaces. AWD models are further enhanced with Adaptive Variable Suspensions, front and rear. Handling and control is enhanced with highly responsive electric power steering. This system is enhanced with variable gear ratio steering as standard on AWD models, and an available option on the LS 460 RWD. Inside, full safety systems include eight air bags as standard (driver and front passenger, front seat mounted side, driver and front passenger knee, front and rear side/curtain). Other safety systems include seatbelt pre-tensioners and force limiters for front and rear occupants, power-adjustable B pillar shoulder belt anchors, and an on-board first aid kit. All models ride on P235/50R18 all season radials mounted on 18” aluminum alloy wheels with wheel locks, and all carry a full-size spare tire. Rear seat side air bags. 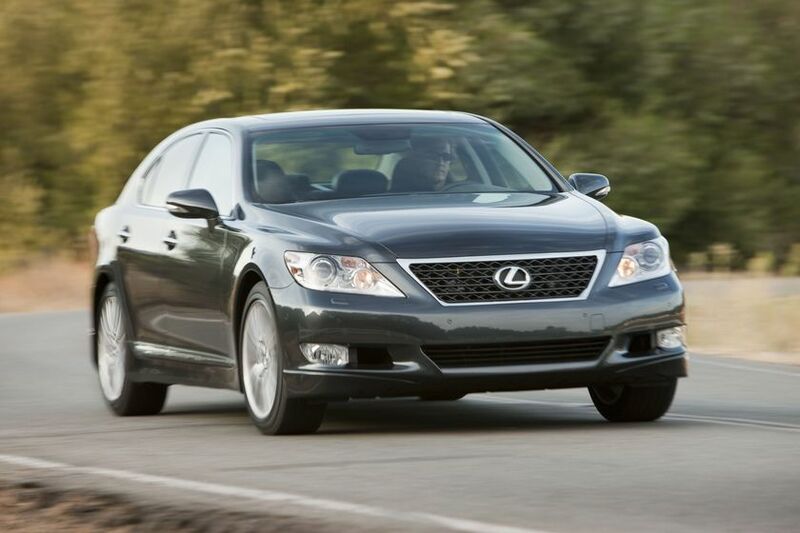 In addition to the enhanced confidence of all-wheel-drive, the 2010 Lexus LS 460 L AWD adds 24mm of extra legroom to the rear seats for a generous 933mm (36.7”). 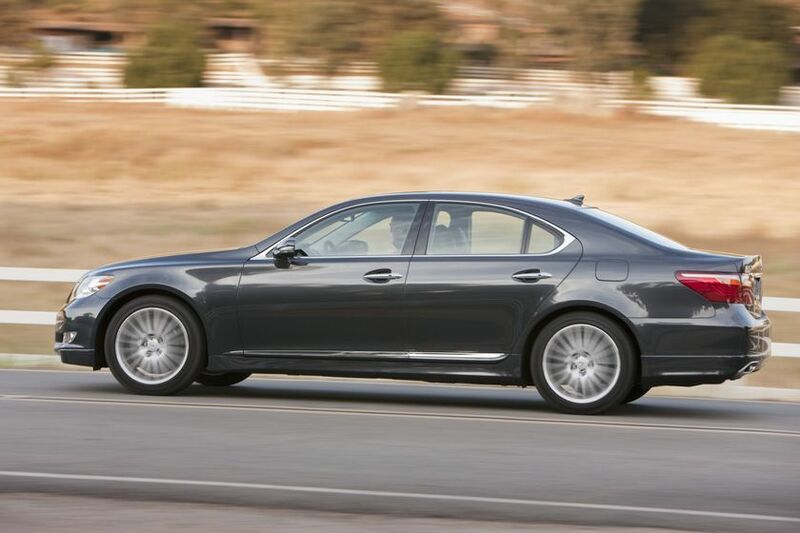 Like all models in the LS series, this long-wheelbase prestige luxury sedan is generously equipped with comfort and convenience features, including many that are unique to this model. Rear armrest with built-in 12V power supply. 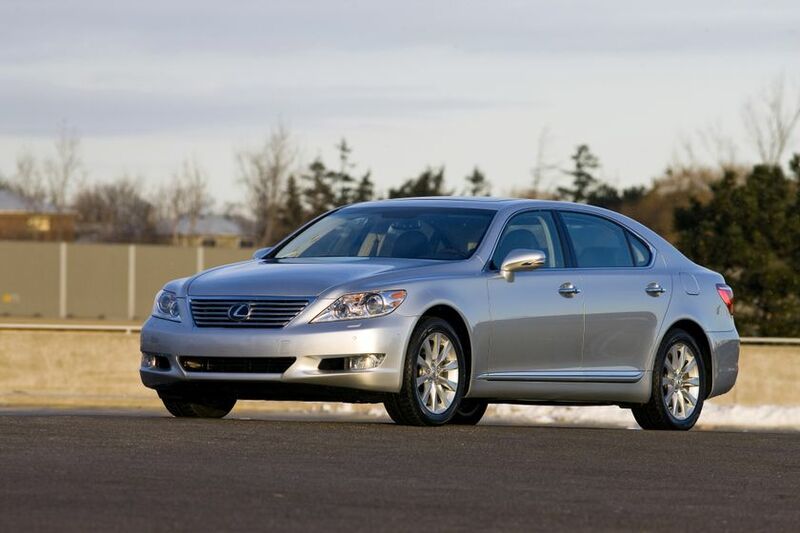 The 2010 Lexus LS series is on sale at Lexus dealers across Canada now, with a Manufacturers Suggested Retail Price starting at $82,900 for the LS 460 RWD, $88,000 for the LS 460 AWD, and $103,150 for the LS 460 L AWD.